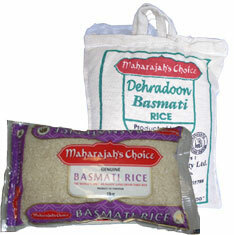 Maharajah’s Choice Basmati rice is selected from the best crops available. Grown in the foothills of the Himalayas, it is processed and packaged to ensure that it remains of the highest quality. A light fluffy rice, Maharajah’s Choice basmati rice is also a larger kernal rice which separates well and can be used in a variety of dishes as a traditional part of an authentic Indian meal.